A summer or winter annual with finely dissected leaves that emit a sweet pineapple-like odor when crushed. 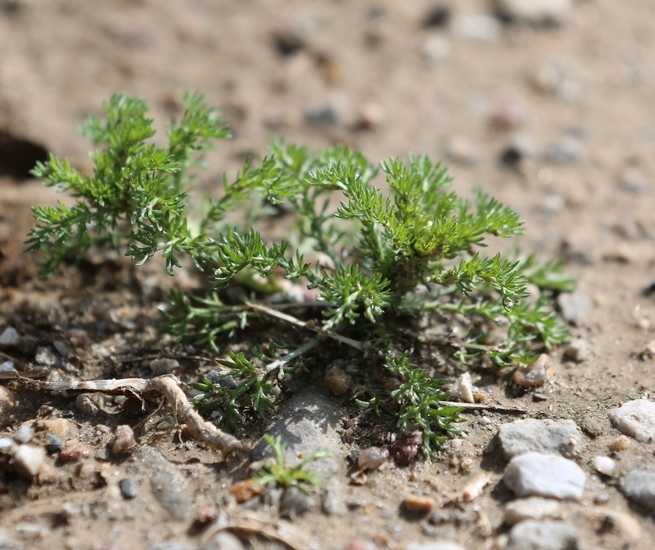 Pineapple-weed is primarily a weed of landscapes, nurseries, and turfgrass, but also occurs in compacted areas like gravel roads or walkways. 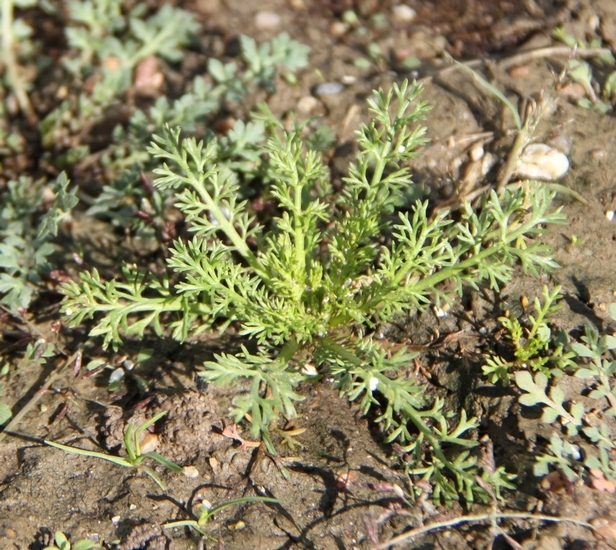 Pineapple-weed is found throughout the United States. 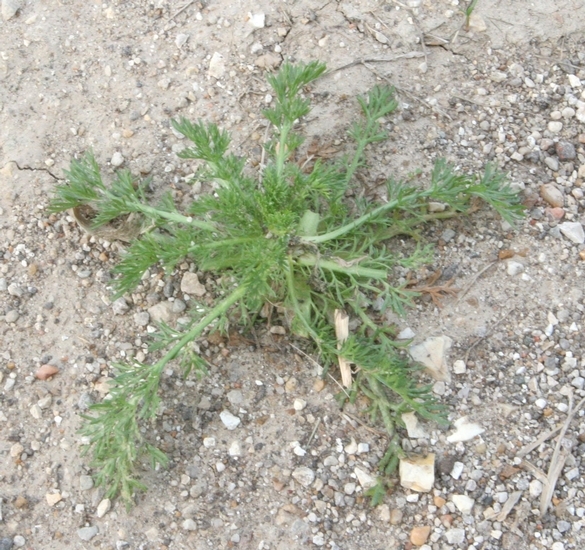 Individual leaves are arranged alternately along the stem and are from 1/2 to 2 inches long. Each leaf is hairless and divided into many narrow segments (1 to 2 mm wide) that give off a pineapple-like smell when crushed. Smooth, hairless, branched, reaching a maximum of 16 inches in height. One or several flowers are produced at the ends of the stems on short flower stalks (peduncles). 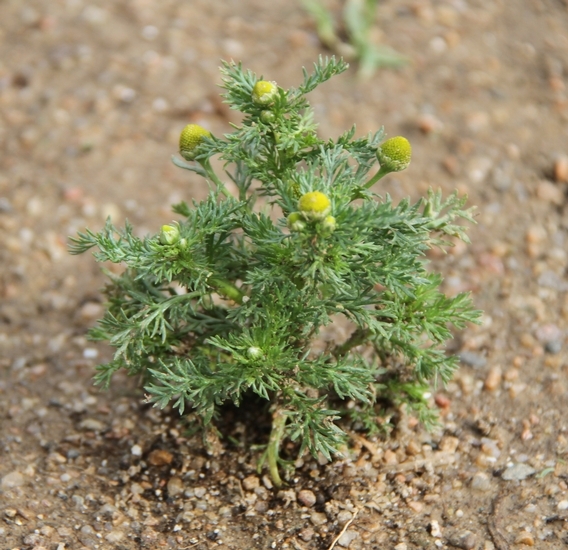 Individual flowers are cone-shaped, from 1/4 to 1/2 inch in diameter. Flowers are greenish yellow in color. A taproot with secondary fibrous roots. Low-growing plants with finely divided foliage that gives off a pineapple smell when crushed. 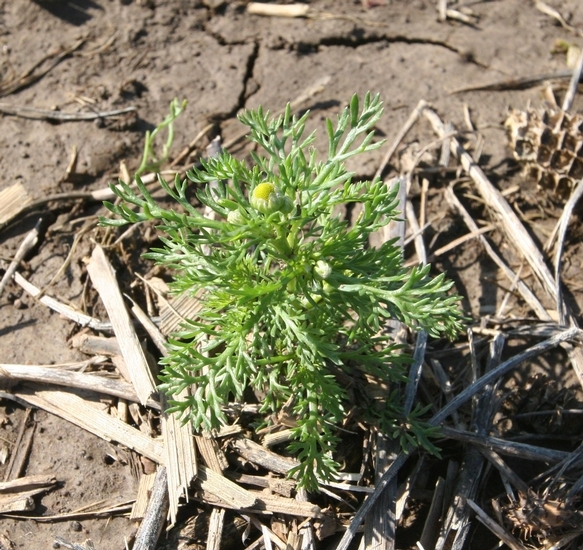 Pineapple-weed may be confused with young Mayweed Chamomile (Anthemis cotula) or Dogfennel (Eupatorium capillifolium) seedlings, however neither of these species emits a pineapple-like odor when crushed. 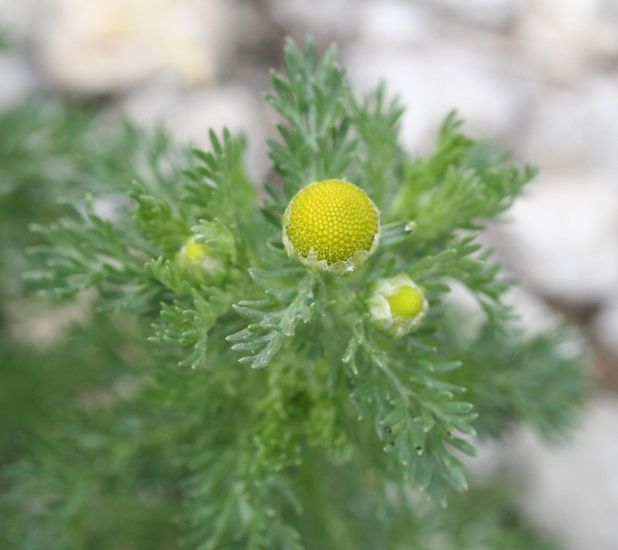 Additionally, both mayweed chamomile and dogfennel grow much taller than pineapple-weed.